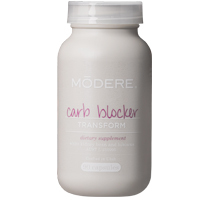 Modere Carb Blocker: Does it Effectively Block Carbs You Eat? Modere Carb Blocker is an over the counter weight loss supplement. It is marketed as a carb blocker, which means that it is meant to function by stopping the body from absorbing some of the carbohydrates from the food the user consumes. The official Modere website explains that it can be used to support weight management goals in that way as well as by delaying carbohydrate absorption and digestion. The key to the benefits the company claims are provided by Modere Carb Blocker is in the main ingredient in its formula, which is white kidney bean extract. The company states that this substance is proven to delay carbohydrate absorption and digestion, though that is a bit of a stretch of the research results. There is some preliminary research indicating that this ingredient can reduce the body’s ability to absorb carbohydrates. However, it has never been proven to be effective enough at that effect to cause a reduction in body fat. Still, the site says makes very loose statements such as that it “may” assist in lowering starchy food caloric impact and that it “helps” reduce starchy food glycemic index impact. These words have been carefully selected because they allow the company to make its statements without solidly claiming that the user will have absolute results. Similarly it claims to provide support to the efforts that you make when you’re at the gym, which doesn’t say much at all even though it sounds like it does. Every one of those claims is carefully linked to a statement which states that they haven’t been verified or proven by the FDA. That, in itself, doesn’t mean that the claims aren’t true. This is a standard statement left on nearly every dietary supplement website because the FDA does not often investigate supplements in order to prove their effectiveness. Usually, they conduct investigations only if many negative reports have been filed against the product. At the time of the reviewing of Modere Carb Blocker, the ingredients in its formula were: White Kidney Bean Extract, Hydroxypropyl Methylcellulose, Microcrystalline Cellulose, Gum Arabic, Hibiscus Flower Extract, Stearic Acid (Vegetable Source), Maltodextrin, and Silicon Dioxide. 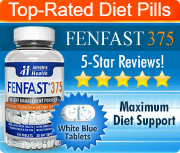 To take this weight loss product according to the package directions, a user must swallow three capsules every day. 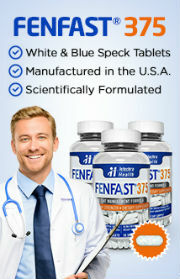 Each pill is taken five minutes ahead of a meal high in carbohydrates. One pill is taken per meal, and are not taken all at once.